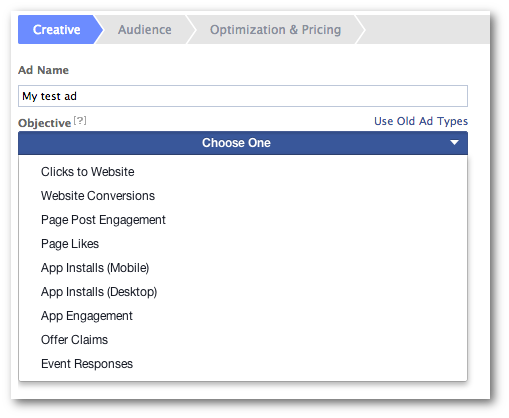 Facebook has updated ad creation within both Power Editor and the self-serve ad tool to reflect an objective-based flow. But is this no more than moving furniture? Let’s take a quick look at what the changes are and what they mean to you. 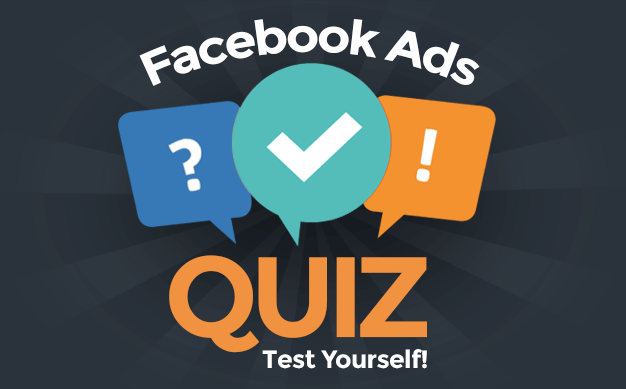 Is the new objective-based Facebook ads design much more than moving furniture around? First of all, I found this announcement interesting because we’ve been here before. Facebook last made major changes to their ad create flow back in June of 2012. Back then, their reasoning was to focus more on objectives. So if you feel like you’ve heard this song and dance before, you have. And I’ve gotta be honest: There’s really not much new to see here, particularly in Power Editor. I freaked out at first when I heard about this change because I feared that Facebook would remove control. They did, but access to the old ad units remains. Note that you can toggle back and forth between the old ad units and the new objectives. 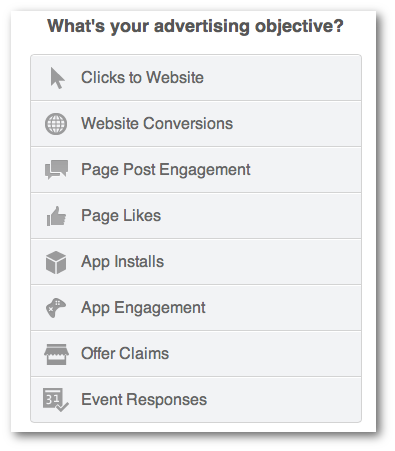 When you select an objective under the new design, you are still presented with ad types to choose from. 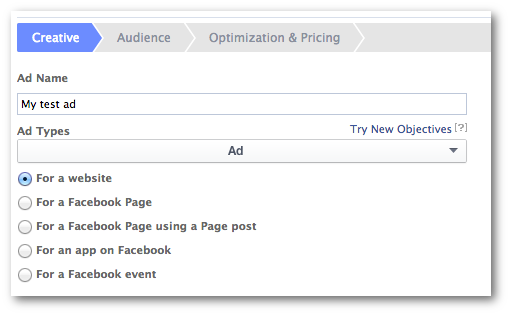 So Facebook is really just finding out what you want to do first before presenting ad options. First of all, I don’t find the new objectives more helpful in Power Editor. There’s unnecessary duplication. 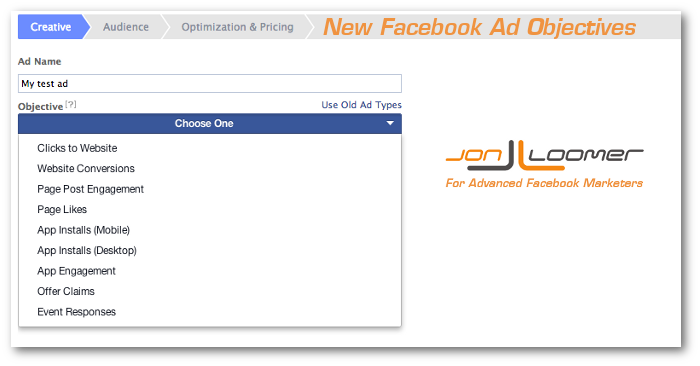 And Facebook removes ad options that were formerly available (still available within the old format, as mentioned above). For example, whether you choose “Clicks to Website” or “Website Conversions” you’ll get the same two ad options. 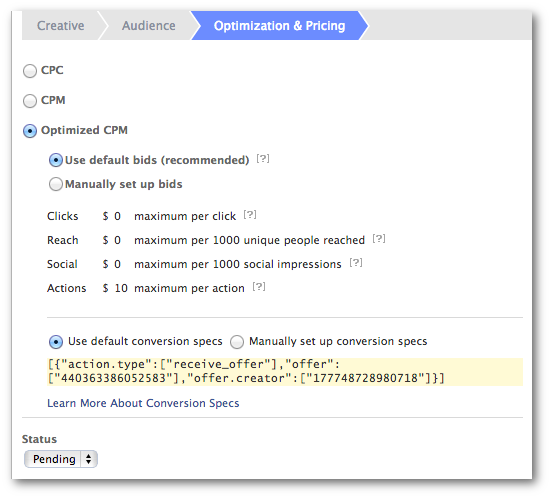 You just have to make sure to select Conversion Tracking if you pick Website Conversions. Also, the options are identical whether you select App Installs (Desktop) or App Engagement. In each case, you can create an ad that promotes your app or create Sponsored Stories that leverage activity within it. I see no differences. Finally, the ability to select “Offer Claims” is also redundant. The same task can be accomplished within the Page Post Engagement objective. I went through every “new” ad option within the objectives, and there is an ad equivalent within the old method in each case. So there is nothing new here. The video ad, of course, isn’t a true omission since that unit was always redundant since you could create it through the normal process of promoting a Page using a Page post. The one that impacts me most is the omission of Domain Sponsored Stories. One of my favorite features within Power Editor is Conversion Specs. 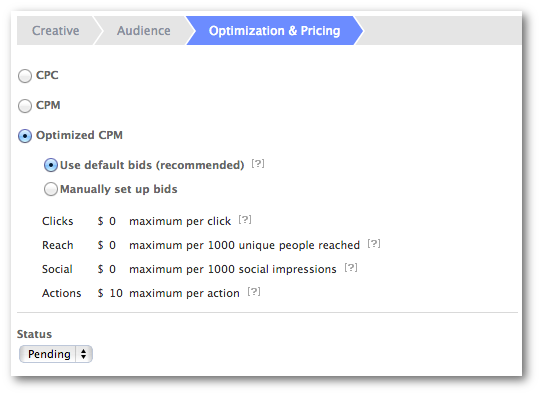 This allows me to manually determine how Facebook will optimize my ad (for post engagement, link clicks, photo views, comments, etc.). AH! No Conversion Specs! That’s a problem for me. This change is pretty worthless. Facebook’s just moving things around while taking away a few ad options and a very important feature. My assumption is that Facebook will continue allowing advertisers to use the old ad options. I know I will, and you should, too. Now, I don’t use the self-serve ad tool, so I don’t have much of a point of reference on this. But I find the new objective flow to be helpful for new advertisers. It’s certainly simple and streamlined. Of course, this is also at the expense of control which is why I’ll continue to recommend using Power Editor. But there is one new feature within the self-serve ad tool that I really like. When you choose the Page Likes objective, you’re allowed to upload up to six image options. When you upload new images, Facebook then automatically generates new ads for them. This is a feature I’d like to see in Power Editor! While Facebook is making the self-serve ad tool slicker, it’s still made for the new advertiser wanting a simple experience. So, back to you. What do you think of these changes?